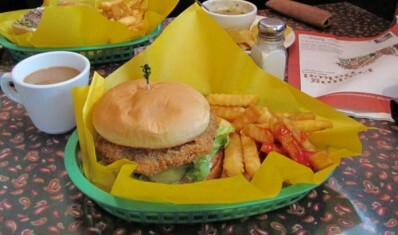 Hamilton Texas was the site of Tastes Like Travel’s first blog where we reported on the Central Perk. Since I hunt in Hamilton I am there several times a year. 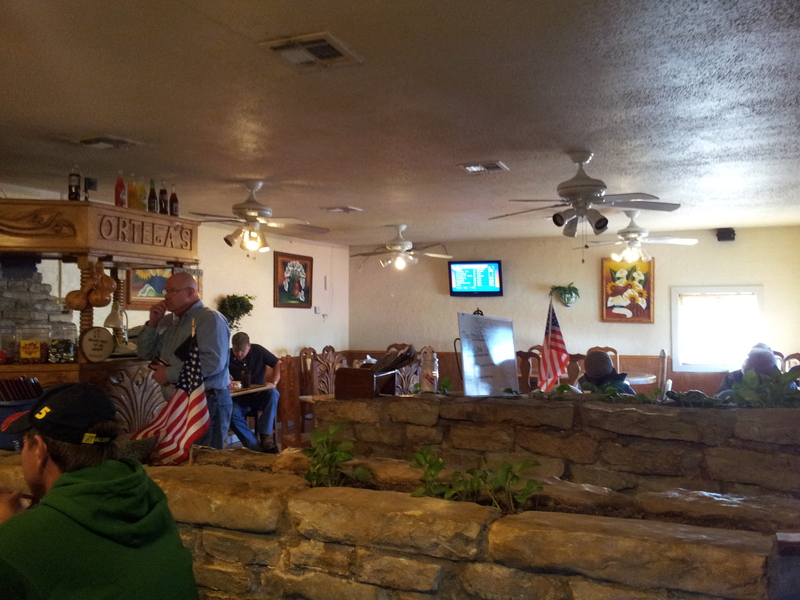 On the latest trip I had the opportunity to eat at Ortega’s Mexican Restaurant. 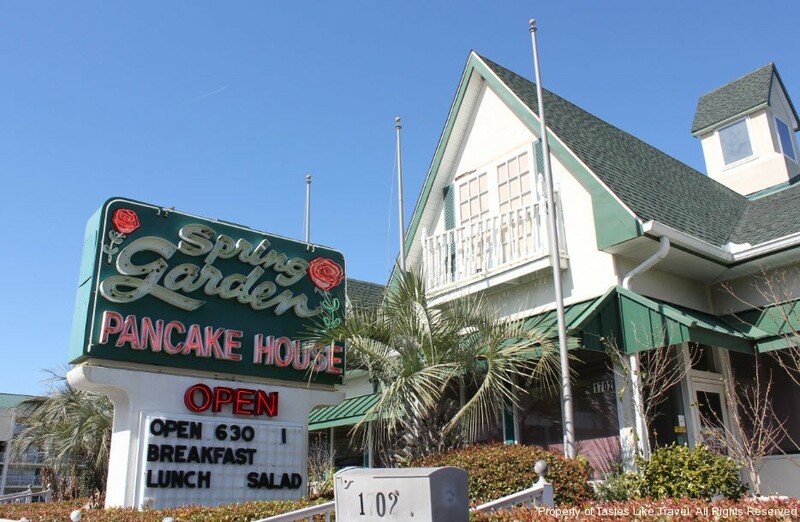 Arriving on a Saturday before noon I found several cars already in the parking lot and upon entering the restaurant I noticed it was filled with families getting their Mexican food fix. After being warmly greeted at the door we were immediately seated and our exuberant waitress was there and ready for us to give instructions. The menu was full of enticing dishes so I knew this would be a hard decision. Ortega’s Mexican Restaurant also has a few chalk board specials to consider and, if you arrive during the week, you could also choose from various lunch specials at a reasonable price. After a coin flip I order chicken flautas. My dining partner, David Couch who is a well known attorney in Rockwall Texas, decided he would eat the beef enchilada dinner. 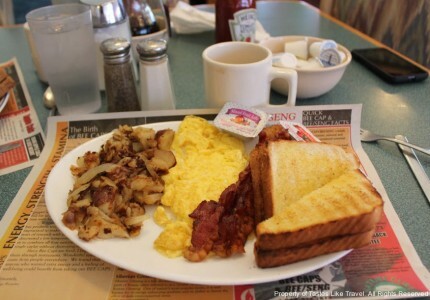 We ordered and before we could check our Facebook pages our meal arrived. 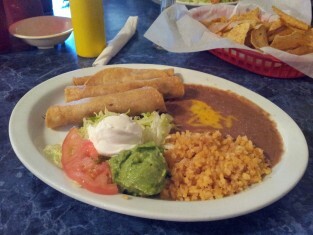 My flautas were good, although a little overcooked, and the rice and beans were just the way I like them. I had a fair sized potion if guacamole and sour cream to dip my flautas in. Esquire Couch was pleased with his enchiladas and commented that he had eaten here several times and was generally pleased with his food each time. There were no disappointments on this day either. The service was excellent. We were greeted by a friendly hostess and our waitress was friendly, jovial and did a fine job waiting on us. 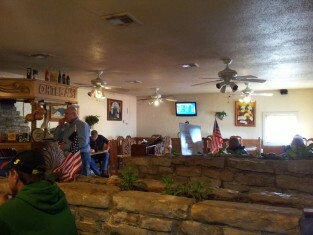 If you ever find yourself on highway 281I would recommend that you try Ortega’s Mexican Restaurant in Hamilton Texas. 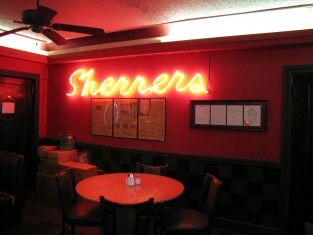 The decor is a little confusing and could use an update but don’t let that discourage you from eating there. It is not the best I have had and is not gourmet Mexican food, but it is decent food and a good dining experience. 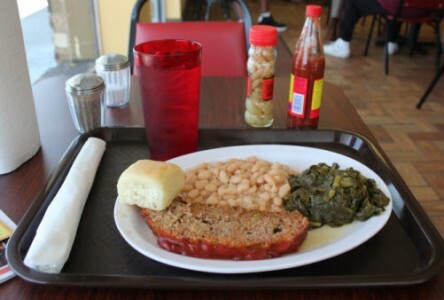 Most of the time, when a restaurant has been voted the best local eatery in town, the food served is pretty good. 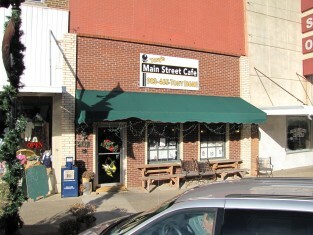 This time however, we could not figure out why Tony’s Main Street Cafe had earned this award in 2009. Maybe that had been a better year for the cafe? Tony’s is located in downtown Denison Texas, which is still the heart of town. Although downtown areas strive to be quaint, having to pass the kitchen to get to the restrooms is not my idea of quaint. And the seating was cramped, too many tables in the dining area, which had a cashier counter for some reason. The staff seemed disinterested, like we were disrupting their day. 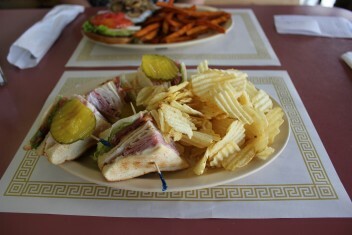 The menu looked promising – prime rib sandwich, Reuben, pastrami on rye, French dip, burgers, etc. – all offered with homemade potato chips. We ordered the prime rib sandwich and the pastrami on rye. After what seemed like an unusually long wait, considering there was only three other tables; one was leaving, one was eating, and the others got their order just before we did; the result was disappointing. Both sandwiches had meat that was very overcooked. The slab of meat that passed for prime rib looked like it came off of a shoe. One thick slice, that was all. Prime rib should have a pink center, medium to medium rare, and this was well done. And it was on a plain hoagie roll with no lettuce or tomato, not even a pickle for garnish. As for the pastrami, both the meat and the bread were greasy, like it had been grilled on the flattop with too much butter, or oleo. There was only a slice or two of pastrami, I could barely find it. The flavor of the pastrami was good, let’s hope that Tony decides to cut back on the grease and increase the amount of meat on the sandwich. The homemade potato chips were cold, greasy and a little overdone. They had the taste of being cooked in old oil at too low of temperature, so the oil soaked in to the chips. And no salt. One thing that does need salt is any potato based food, especially when fried. On a better note, the neighboring table had ordered the Cobb salad, and it looked great. It covered the huge platter it was on, seemed to be fresh, and the guest had to ask for a take-home container. 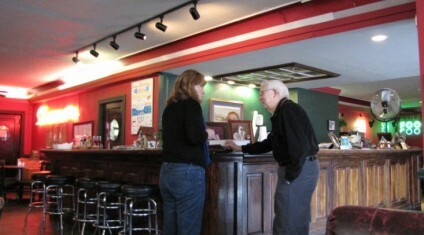 We hate to kill a restaurant with just one visit so if you are in Dennison you might try it and let us know. 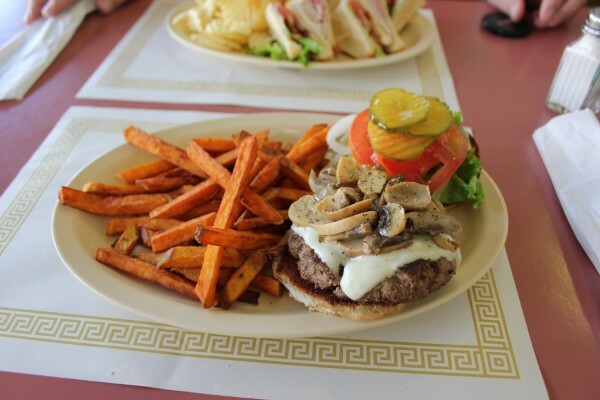 Downtown Denison has so many choices for food that it might be a while before Tastes Like Travel ventures back to Tony’s Main Street Café. There has to be a reason that Tony’s won best new restaurant in 2009, let’s hope they get the mojo back soon.